Buy Mike's look: Top, $39.99 ; Jeans , $13.99 ; Shoes, $44.99 ; Bag, $19.80 ; Ring, $2.95 ; Earrings , $8.99. Buy Sully's look: Top, $5.40 ; Jeans , $19.50 ; Shoes, $54.99 ; Bag, $16.80 ; Ring , $34 ; Earrings , $5.59. 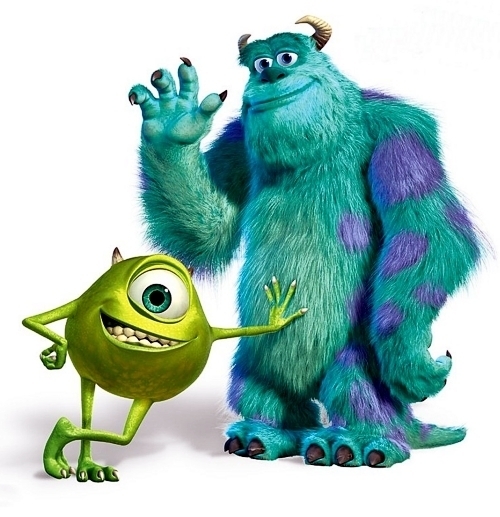 Affordable casual outfits inspired by Mike and Sully from Monsters Inc! All these pieces are $55 or less!